Dale Sprinkle, Los Angeles Police Department (Ret. ), “began his adult life serving four years in the Marine Corps. The bulk of his service was in a Marine Air Command Office. Thereafter he had a career with the LAPD. The “mean streets” of LA provided the insight for his writing. That included years of “under cover” investigation work. The mechanics of writing he learned on the job as a Commanding General’s secretary, as a research specialist with LAPD, but primarily while completing law school. Dale has a passion for research. He has combined that passion with his life’s experiences in order to create a fiction novel that is historically correct. He walked the streets of Paris in order to capture the setting there. But more than that, he lived the police experiences shared in the second half of Casey Teel. After retiring from law enforcement, the author spent several years in Central California managing a vineyard devoted to raisin production. From there he had another career as a real estate appraiser. Now retired, he enjoys life on his “gentleman’s farm” on the Downeast coast of Maine. Dale has been a certified SCUBA diver, licensed pilot, and long-time competitive runner. Now he is most likely to be found working or hiking in his woods, or on the slops downhill skiing. Though he is an elected Selectman in a picturesque coastal Maine town, he quickly adds that he is not a politician.” Dale Sprinkle is the author of Casey Teel. According to the book description of Casey Teel, “There are no stories quite like those experienced by inner city street cops. Truth is most people will listen when a policeman tells of his experiences. But the stories most folks want repeated are not the ones about the hot pursuits, the shootings, or the prominent arrests. No, it’s the bizarre, quirky, sometimes funny, sometimes sad stories that play out in the big city as a part of a cop’s existence there. 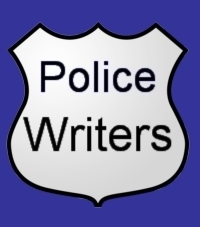 The fictional Casey Teel vicariously lives many of the author’s real life police experiences.